Developers could use the SystemFontSize to get the system font size, but beyond this single number there was no guidance as to what font sizes to use. It was every-man-for-himself kind of place, not too different from the wild west, where people like me would pick 14 because we need glasses, and avant garde designers would pick 11 points. 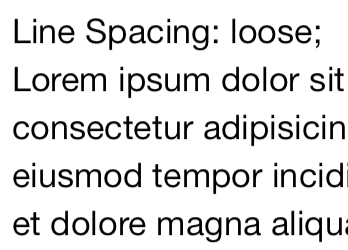 Apple's documentation states that the fonts returned have their properties adjusted to be optimized for reading. The most noticeable attribute those fonts have is the default font and their font sizes. 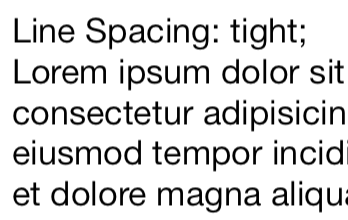 Merely accessing the UIFont properties will return the properly sized font depending on the user settings. 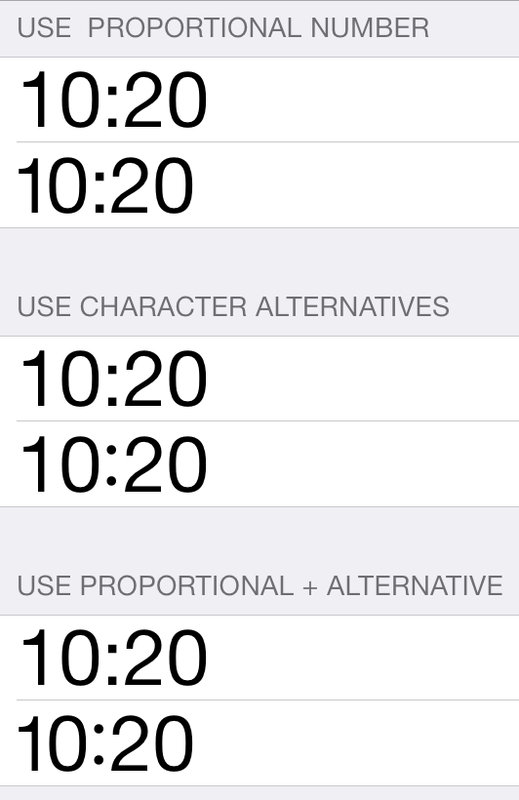 With iOS7, the user can change the desired size for his fonts in the Settings application. Applications in turns should respond by adjusting their contents. They do this by using the freshly minted fonts that the system has created for them in the UIFont properties and respond to the system notification that the user has made a font size change. 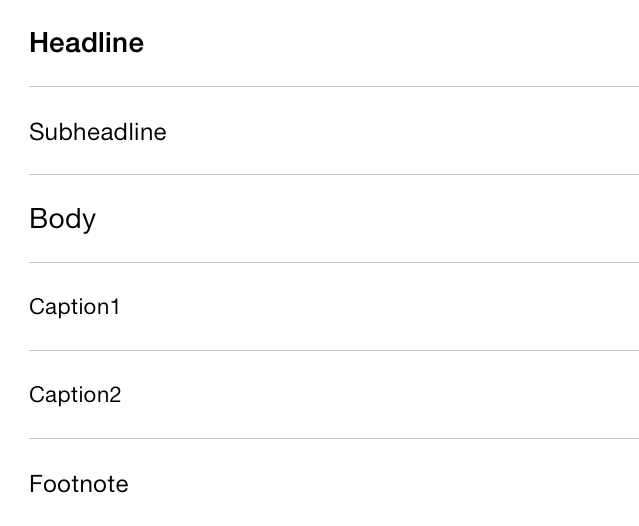 UIKit Developers now have access to all of the advanced typographic control available in CoreText. 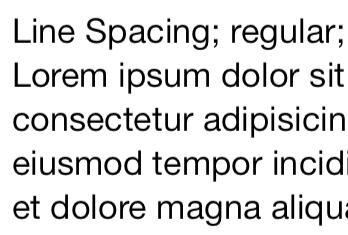 The interface to customize fonts is provided by the UIFontDescriptor class. You can fetch a UIFontDescriptor a UIFont by accessing its FontDescriptor property, and you can in turn create UIFonts by configuring a UIFontDescriptor and requesting that a font be created for you. To achieve the above, all you have to do is pass the UIFontDescriptorSymbolicTraits.TightLeading or UIFontDescriptorSymbolicTraits.LooseLeading parameters to the CreateWithTraits method. While the above will be enough for many applications, CoreText provides comprehensive access to many features of underlying fonts. You can use the UIFontDescriptor.CreateWithAttributes method to pass your detailed list of UIFontAttributes that you want to set on your font. 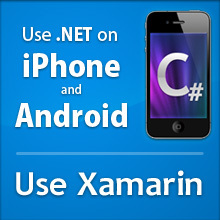 The above is just a sample, you can use any of the CoreText Font Features to customize the rendering of your font. 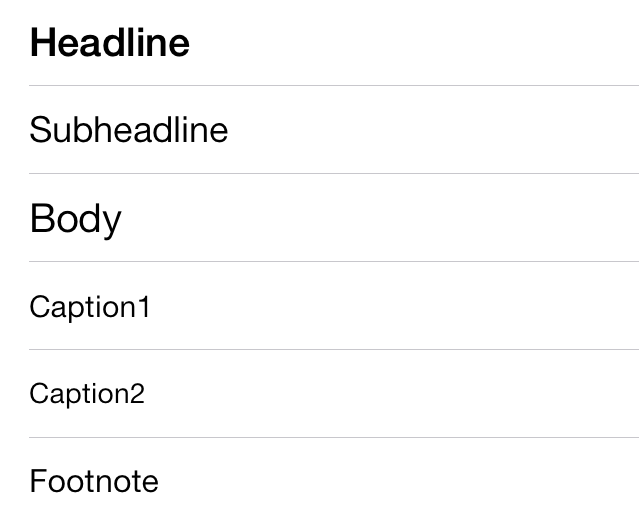 The entire sample showing these features is available in the ios7fonts directory.